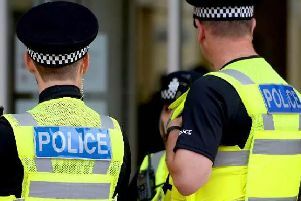 Police have made an arrest after a man was spotted with a firearm near two Sussex schools was seen again yesterday evening (May 4). The 36-year-old Worthing man was detained on suspicion of two counts of possessing an imitation firearm with intent to cause fear of violence, a spokesperson said. He remains in custody for questioning, said police. Police received a report of a man with a firearm in the vicinity of Victoria Park and Norfolk Street in Worthing just after 2.15pm on Thursday (May 4), the spokesperson said. A man showed the weapon to a member of the public, according to the spokesperson. No threats were made and the man raised his concerns to police. Officers attended and took the decision to keep children, staff and parents inside at Heene Primary School and St Mary’s Catholic School while a search of the area was carried out, the spokesperson said. Once satisfied that the area was safe the schools allowed children to be collected as normal, said the spokesperson. Police then received a further report from another member of the public that a man had shown her a gun in his bag in Stoke Abbott Road at about 9.10pm, the spokesperson said. Officers went to the scene and the man was arrested nearby, according to the spokesperson. Detective Constable Sebastian Day said: “Officers believe the man arrested is the same one who had been reported in Victoria Park earlier in the afternoon.